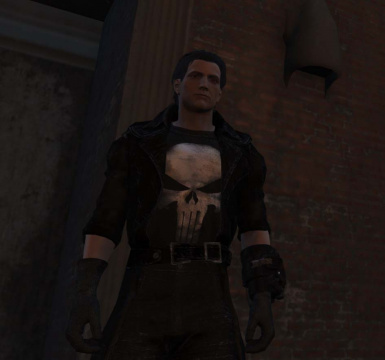 Adds The Punisher clothes to the game. Credits go to Ascendia on her original mod. The wasteland is full with mobs, thugs and raiders, and it will take one man to stand up to them. With guns. With this mod you can be that guy. This mod is based on the "Rodeo" look of Ascendia's Wasteland Fashion. 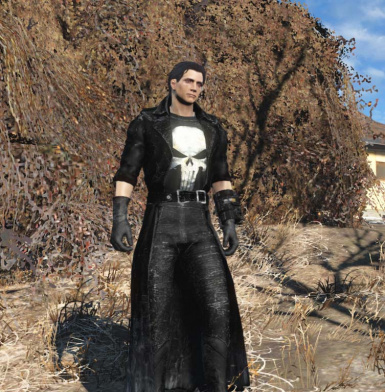 This mod adds a new outfit, but it does require the Wasteland Fashion to be installed to work. 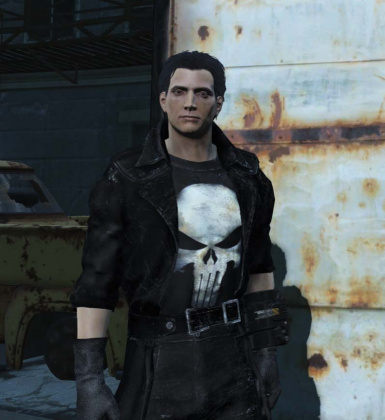 Please install the Wasteland Fashion be fore this, it is a great mod even on it's own! 1.) Install Wasteland Fashion by Ascendia first. 2.) Download this mod file, and add the Materials, Meshes and Textures to correct folders. 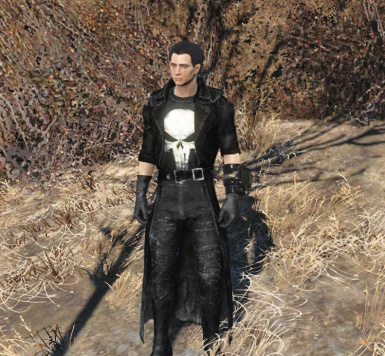 For example add the Materials file "ThePunisher" under Data --> Materials --> Arideya (there are other Wasteland Fashion mods here too, such as Rodeo, Witch etc.). Repeat for Meshes and Textures.